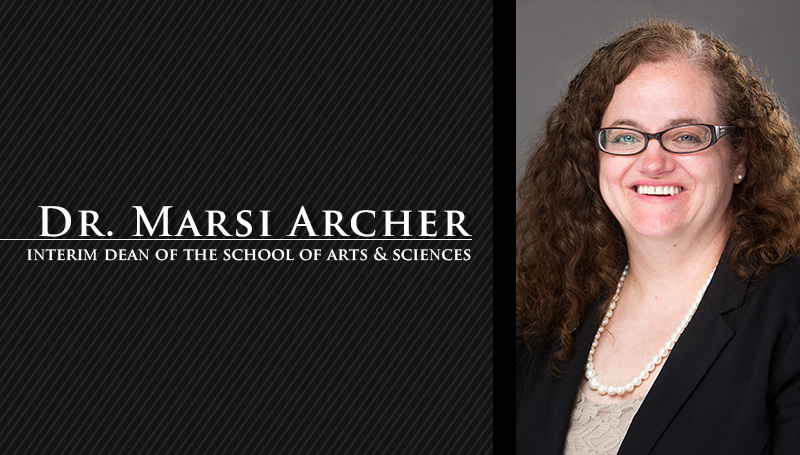 Dr. Marsi Archer, who currently serves as chair of the Chemical & Physical Sciences Department at Missouri Southern State University, has been announced as interim dean of the university’s School of Arts & Sciences. She will begin her new duties on Aug. 1. She follows Dr. Richard Miller, who retired as dean at the end of the spring semester. She joined the Missouri Southern faculty in 1998 as an assistant professor, reaching associate professor status in 2003 and full professor in 2009. She has served as department chair since 2010.